Five non-governmental organizations say British rock band 'not welcome in Lebanon' after performing in Tel Aviv after deadly Navy raid on Gaza-bound flotilla. Lebanese activists called Tuesday for a boycott of British rock band Placebo on the eve of its Lebanon gig for performing in Israel in the wake of the deadly raid on a Gaza-bound aid flotilla. "You are not welcome in Lebanon," Lebanese writer and editor Samah Idriss said at a news conference jointly held by five non-governmental organizations on the eve of the concert in Beirut. "The band must choose either to play in Lebanon or to play in a state that continuously violates rights," Idriss said on behalf of the groups, which include the Campaign to Boycott Israeli Supporters in Lebanon and the Campaign for the Lebanese Boycott of Zionism. 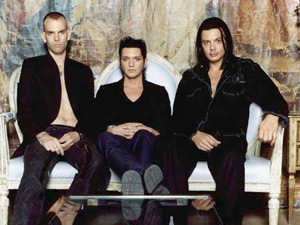 Placebo has already arrived in Lebanon for their June 9 concert, days after a gig in neighboring Israel where lead singer Brian Molko announced his "endorsement" of Israel in an interview. The interviewer then asked if it was important to have Israel's endorsement these days, to which Molko quipped: "Yeah, if you want to go sailing." Molko's comment showed Placebo "ignored the massacre last week against the Freedom Flotilla and went even further, announcing their support for Israel," Rana al-Masri, one of the activists spearheading the boycott campaign, told AFP. Israeli naval commandos last week stormed a Turkish-led aid flotilla headed for Gaza in defiance of an Israeli sea blockade, killing nine activists on board. Idriss said activists from the five groups would not resort to violence but demanded Molko apologize and urged concert-goers in Lebanon to boycott the gig. The call comes just days after US alternative rock group The Pixies cancelled their first-ever gig in Israel and two British bands pulled out of the same five-day music festival in Tel Aviv in a move believed to be linked to the aid flotilla storming. Idriss said the Lebanese activists were also demanding concert organizer and radio mogul Jihad al-Murr cancel the Placebo gig and reimburse all those with tickets. But Murr pointed out that most bands performing in Lebanon, which remains technically in a state of war with its southern neighbor, had also performed in Israel. "Placebo has entered Lebanese territory legally and with the knowledge and consent of General Security," Murr told AFP. "This is music, a concert, and has nothing to do with politics," he added. 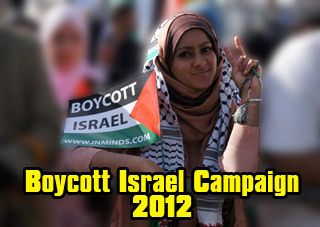 "Shall we boycott every minister, official or artist that has ever visited Israel? That's ridiculous." 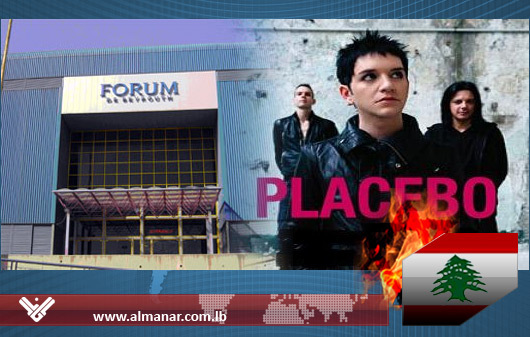 After Declaring Support to Israel, Placebo Band in Beirut! Once again, pro-Israeli figures seek to penetrate into the Lebanese scene through… arts! On Wednesday, British rock band Placebo is set to perform at the Forum de Beirut amid calls for "boycotting" the "event" which comes days after a gig in the occupied territories where lead artists Brian Molko announced his "endorsement" of the Israeli enemy in an interview. Speaking with an Israeli journalist, Molko was proud to say that all what he's doing in "Israel" was eating Hommos before lauding Israel's "fantastic" climate. His comments were made last Saturday, right after the Israeli atrocious crime against the Freedom Flotilla, which left nine people martyred. The interviewer sought to make fun with him, saying: "It's important to have Israel's endorsement these days." The singer immediately responded: "I think so… especially if you want to go sailing." And here you go. Molko and his friends visit the Lebanese capital, where they would perform… despite everything! You're not welcome in Lebanon! The call comes just days after US alternative rock group The Pixies cancelled their first-ever gig in the occupied territories and two British bands pulled out of the same five-day music festival in Tel Aviv in a move believed to be linked to the aid flotilla massacre. Yet, the organizers don't hesitate to "defend" the move. The concert organizer and radio mogul Jihad al-Murr pointed out that most bands performing in Lebanon had also performed in the occupied territories. "Placebo has entered Lebanese territory legally and with the knowledge and consent of General Security," Murr told AFP. "This is music, a concert, and has nothing to do with politics," he claimed. "Shall we boycott every minister, official or artist that has ever visited Israel? That's ridiculous." Finally, a question has to be asked about the role to be assumed by the ministries of Culture and Tourism in inspecting such suspicious invitations, especially that the same scenario is repeating itself with every touristic season. The British alternative rock band Placebo played in Tel Aviv – at the Tel Aviv Exhibition Grounds – on Saturday June 5, 2010. According to the Jerusalem Post, more than 7,000 people attended this concert. On Wednesday, June 9, this same band is scheduled to play in Lebanon – at the Forum de Beirut. Why is this a problem, an offense to us – as Lebanese, as Palestinians, and, more importantly, as people rejecting apartheid, occupation, and injustice? international musical bands are not willing to play in Israel. In this past week alone, in rejection of the latest Israeli massacre on the Freedom Flotilla, three additional bands have cancelled their concerts in Israel: Gorillaz, Klaxons, and the Pixies. The Israeli massacre has caused numerous labor unions and academic associations, in addition to hundreds of intellectuals, academics and writers, to add their voices to the call for the boycott of the Zionist State. The Swedish Dockworkers union decided to stop uploading or downloading any products from any Israeli ship from June 15-June 24. Famous, award-winning writers, Alice Walker, and Hening Mankel and Ian Banks, have recently adopted the call for the boycott of and divestment from Israel (BDS). Amidst all this uproar, Placebo decided to continue with its concert, however, even though its own opening act – Gorillaz – cancelled their involvement. Placebo regards the massacres and injustices committed by Israelis to be irrelevant. We don’t consider them to be irrelevant. Nor do we consider Placebo’s indifference to injustice to be irrelevant. Every musical group – or non musical group – that does not oppose apartheid and occupation and injustices is itself complicit with such policies, and as such is not welcome in Lebanon. Any band that welcomes apartheid, occupation, and injustice is not welcome in Lebanon. 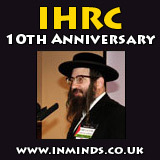 (2) Israel’s crimes did not begin on May 31, 2010 when they attacked a civilian humanitarian ship, killed 9 and injured 43 civilians, kidnapped hundreds of civilians, and stole millions in aid. Israel’s crimes – against Palestinians and Lebanese and (other) Arabs – began decades upon decades ago. In 2005, the Palestinian civil society called for the boycott of the Zionist State, and considered all who reject the boycott to be complicit with occupation and apartheid, and active in cleansing the Israeli crimes in the press. Since Placebo’s engagement in Israel was scheduled prior to its engagement in Lebanon, an invitation should not have been given to Placebo in the first place by the organizers in Lebanon (as confirmed by the press and by Placebo’s own website. ), nor should Mr. Jihad el Murr, head of the organizing committee at Forum de Beirut, have gloated that the band members are seated in his car (As-Safir, 7/6/2010). Even if Placebo – or any other band – had scheduled a concert in Israel after scheduling its concert in Lebanon, then its concert in Lebanon should then be cancelled by the event-organizers themselves. Musical bands have to choose: either play in Lebanon, or play in Israel – but not both. Organizers of such events in Lebanon have to recognize the same as well. Dealing with this issue with a sense of false-normality is a violation of the anti-normalization and anti-boycott laws in Lebanon. normality in apartheid, there is no normality in occupation, and thus there can be normality in interactions with such vile forms of conduct. To Placebo and the Forum de Beirut, we say: It is not 'just music.’ Interacting with abnormalities as if there were normal is a form of acceptance of these abnormalities. We do not accept them. Nor do hundreds upon hundreds of musicians around the world. Finally, if there remain those who doubt the complicity of Placebo with the Zionist criminals, let them listen to what Brian Malko, the lead front man of the band, has said directly.